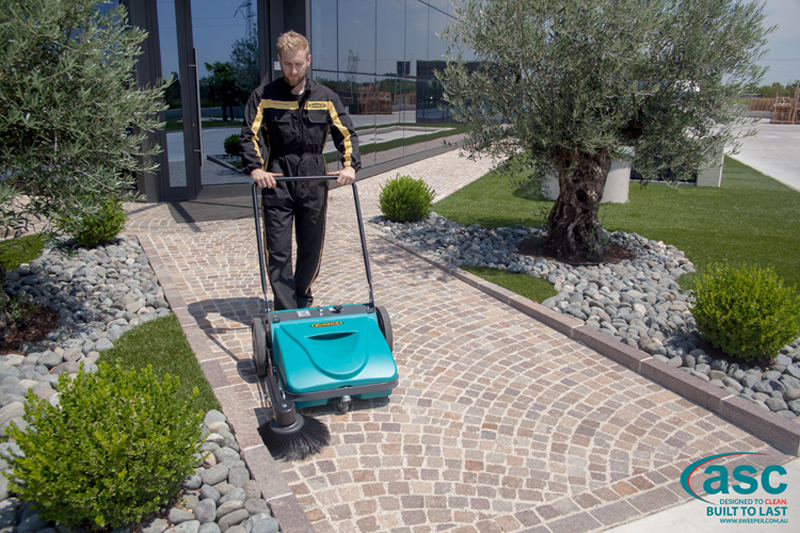 Designed, crafted and hand made in Northern Italy. 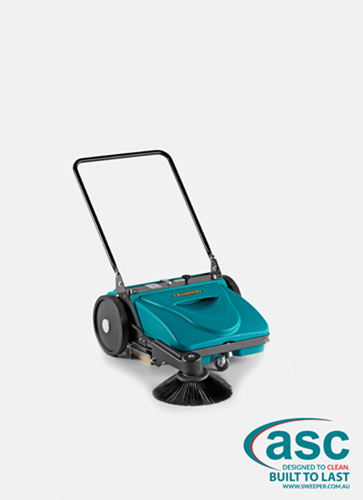 Designed to last 15 plus years while saving thousands of dollars in labor. 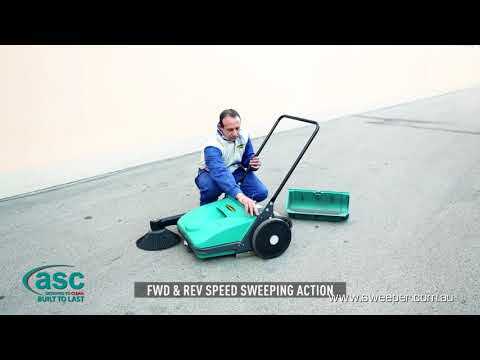 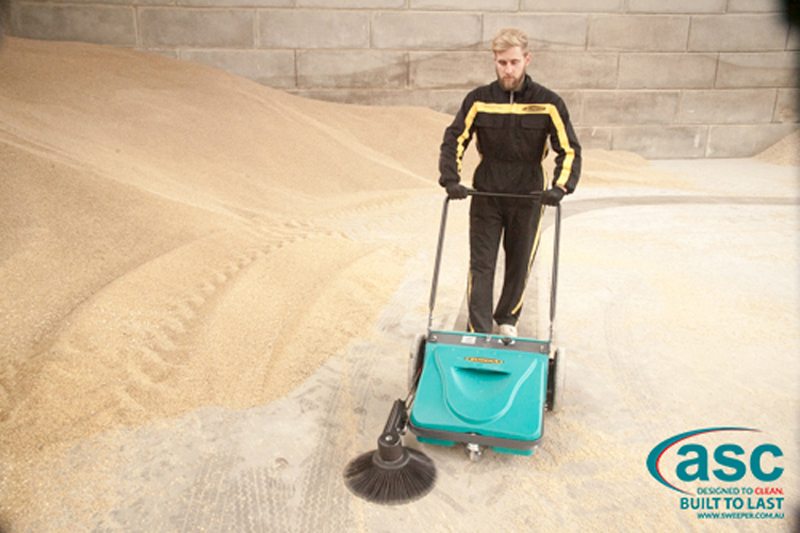 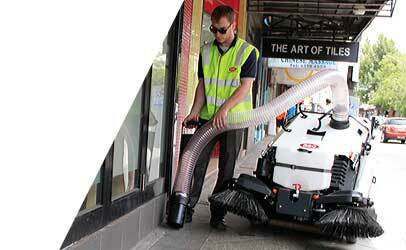 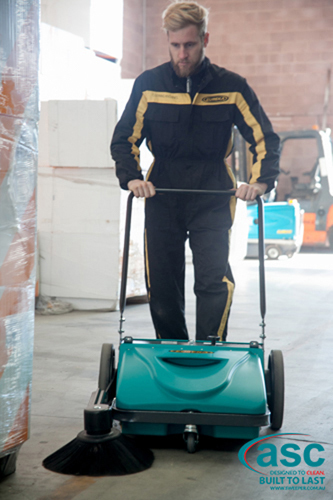 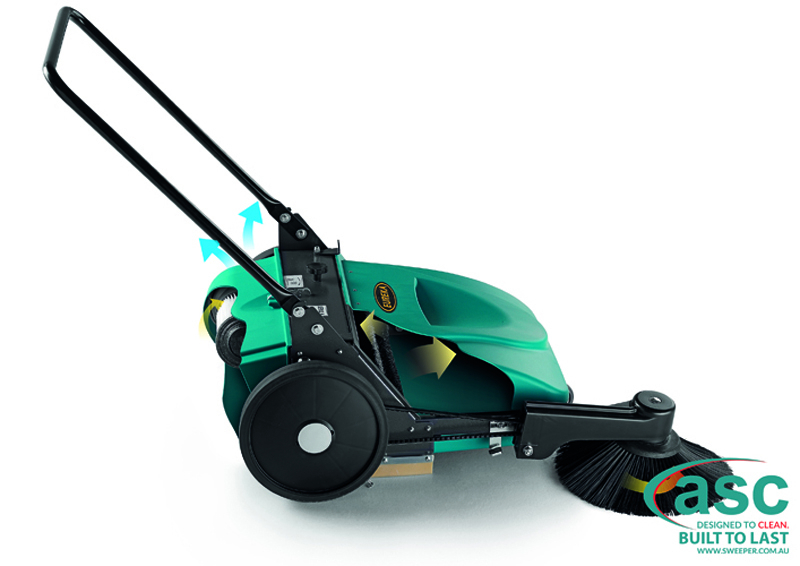 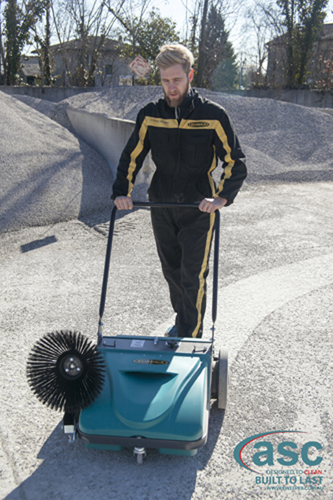 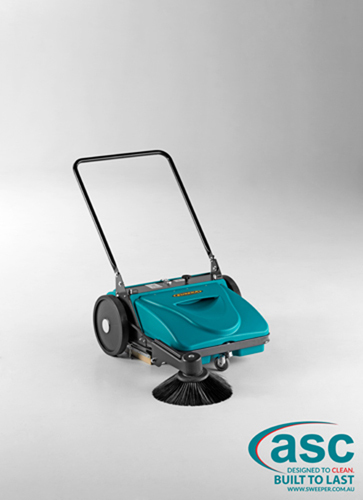 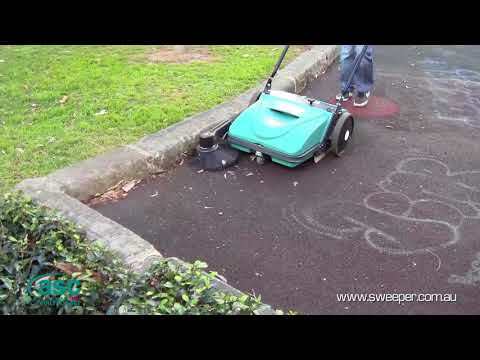 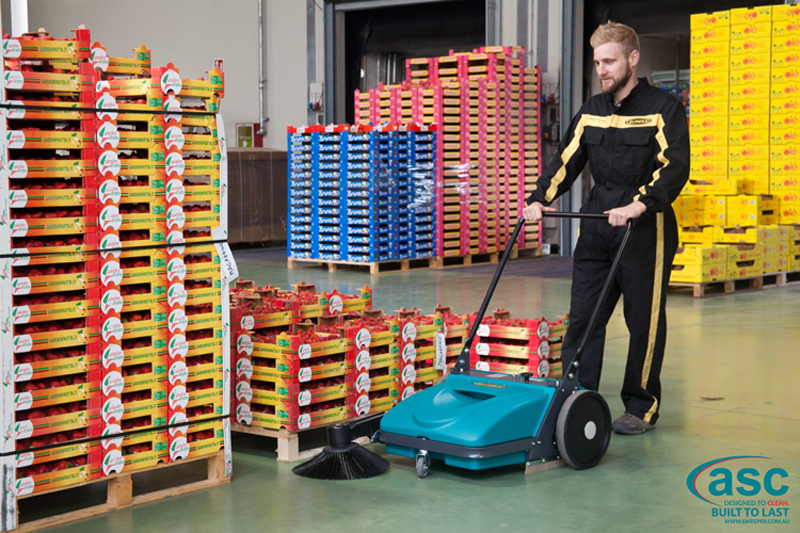 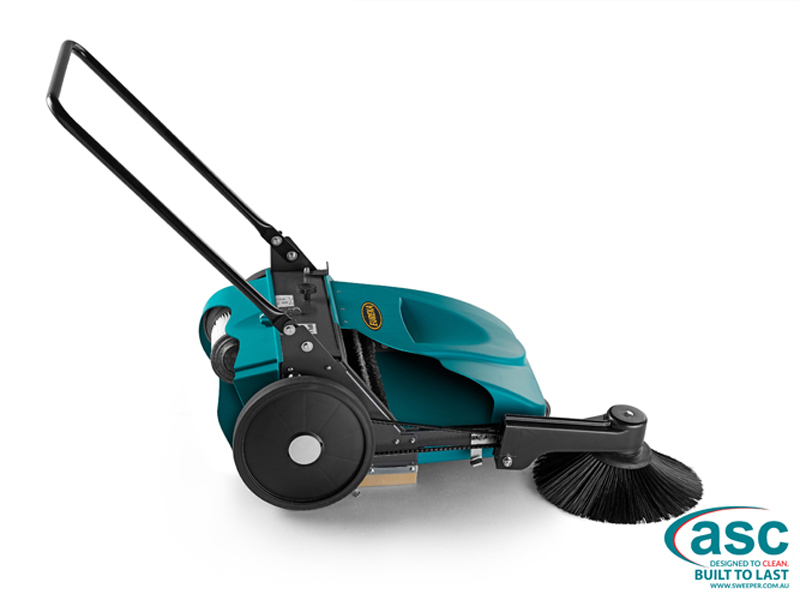 The ME sweeper is an entry level ASC manual push sweeper that is more than 10 times faster than a man with a broom! 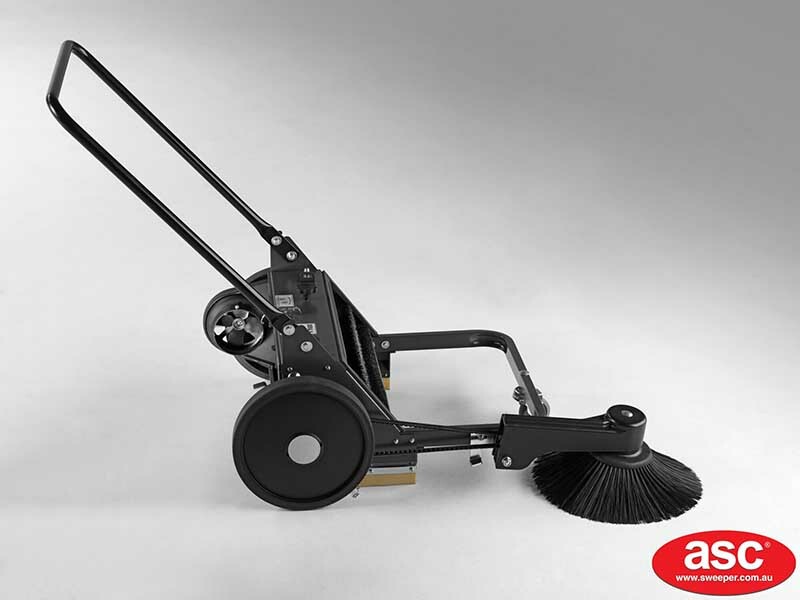 This manual floor sweeper combines productivity with value for money, and can be used to keep small to medium floor areas dust-free. 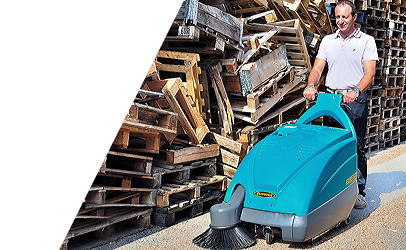 The ME manual sweeper or 101 is a walk behind push sweeper with a total sweeping path of 730 mm which can sweep up to 2190 m2/h. 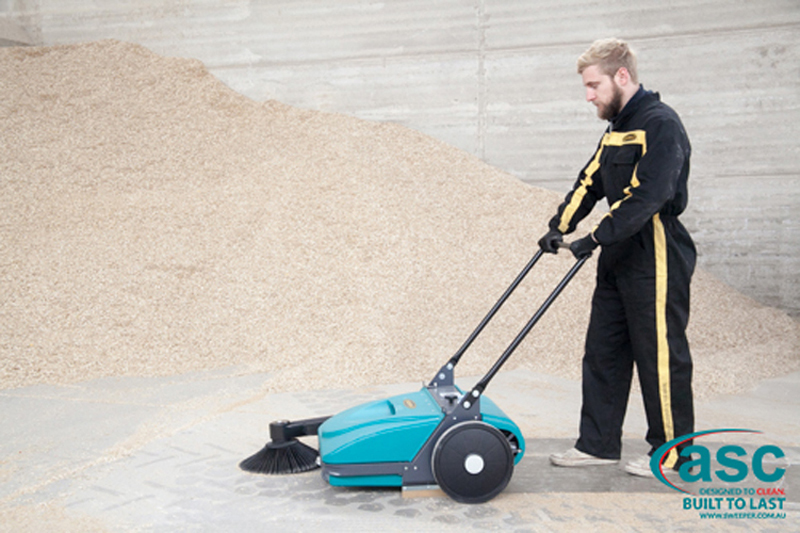 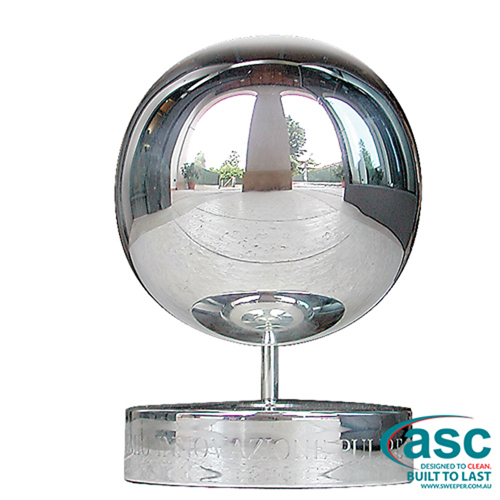 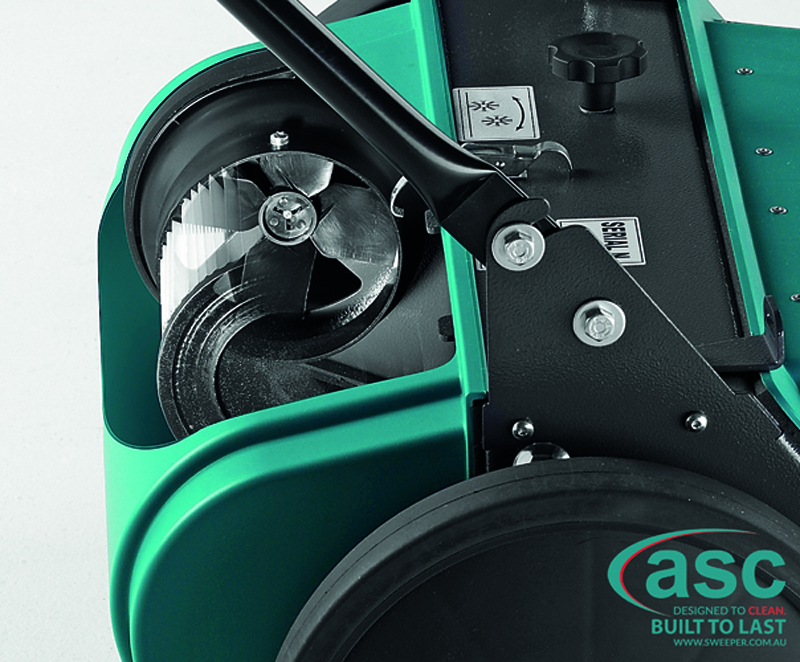 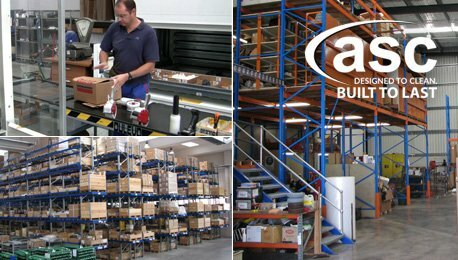 The ASC ME works just as well over hard or soft floors, indoor or outdoor. 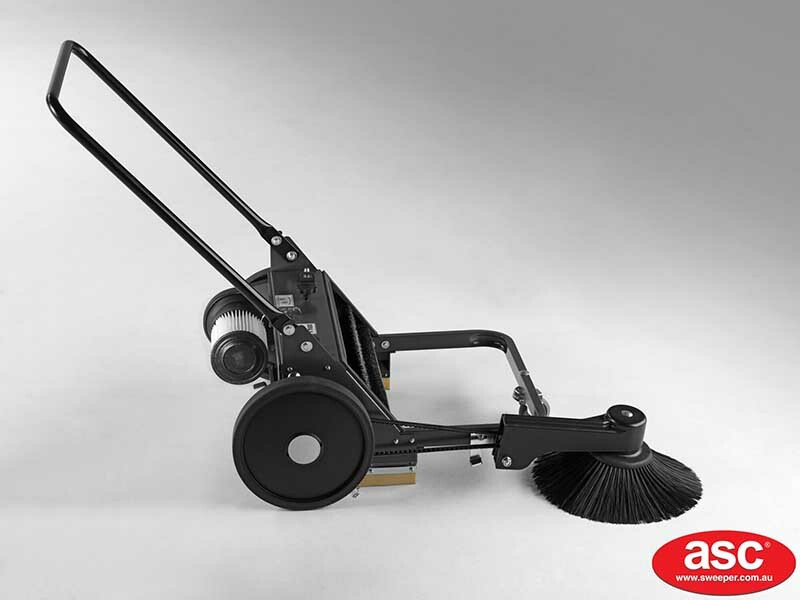 Agile in narrow areas, the 101 is 100% operator-friendly and suitable for a variety of applications. 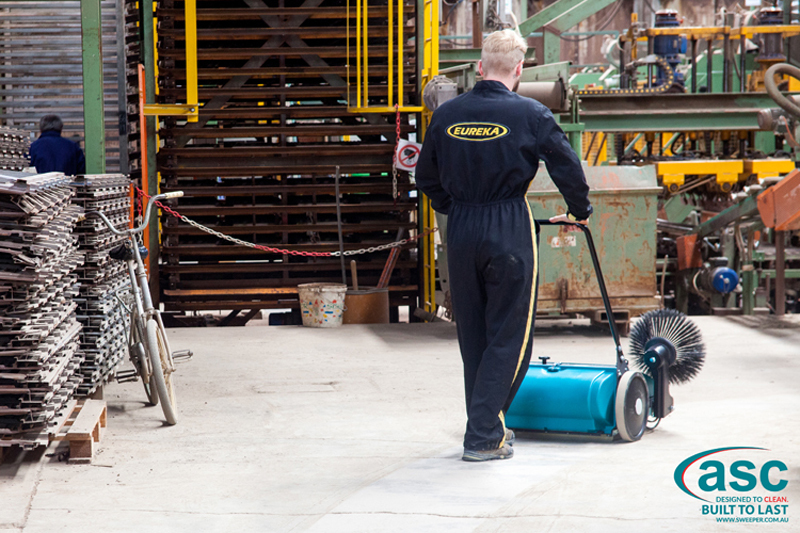 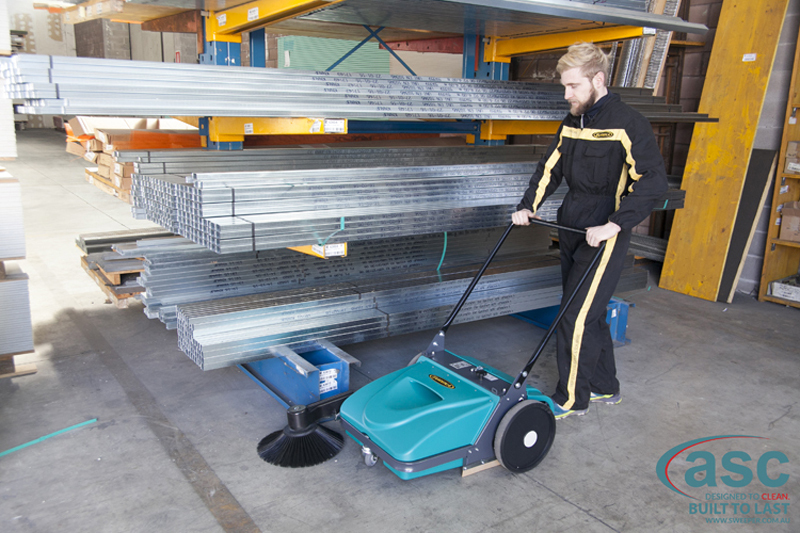 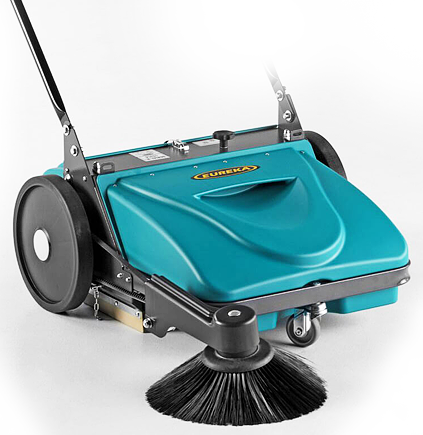 Ideal for sweeping of industrial warehouses, yards, parks, petrol stations, hospitals , parking lots, warehouses, basketball courts…etc. 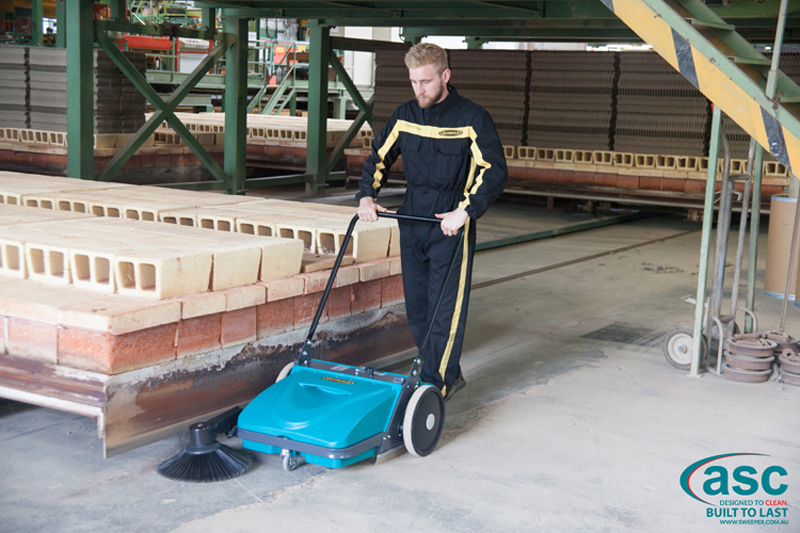 porcelain tiling, and many other dirty conditions.